Join April Red for our return to Mr. Joe's Off The Beach!! Mr. Joe's has an outside Tiki Bar, a large horseshoe bar inside and a courtyard out back. Full liquor bar, cold beer & wine, pool, darts and bowling!! 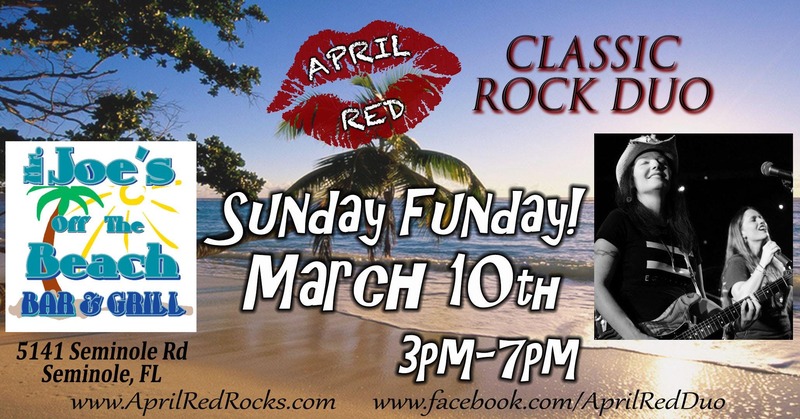 And April Red will be Rockin' the Classic Rock Hits!! Hope to see y'all there! !